Unlock Nokia 5800 XpressMusic - Safe IMEI Unlocking Codes for You! Unlock Nokia 5800 XpressMusic Handset! In case your 5800 XpressMusic doesn't ask for the code and there is no designated field to enter it, please DON'T PLACE ANY ORDER, contact us first for support. 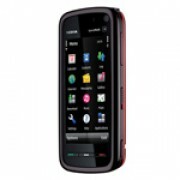 Start to unlock your Nokia 5800 XpressMusic cell phone! Our process is simple and 100% Guaranteed to work! Our codes works for the latest models, inlcuding Nokia Asha 308, Lumia 900, 800 ,710, Nokia C3, Nokia N8, Nokia 5230, Nokia X7 and others! Here is The Full List of Nokia! We are able to unlock the most GSM Carriers across the world, including Orange, T-Mobile, Rogers, Telus, Bell, Vodafone, AT&T and many more! Note 1: Please make sure you have a USB cable before placing your order if have ever tried before to unlock your handset. If you get the message “Not allowed”, “Phone Restriction” or “Hard locked” after you inserted the unlock code, it means that you have tried for many times to unlock it by inserting an incorrect code!. If this is the case, you will have to use a software that we will provide you which will require a USB cable. There is nothing to worry about if your Nokia 5800 XpressMusic handset its a brand new one! How to Unlock Nokia 5800 XpressMusic Phone - Tutorial! After you receive the code, all you need to do is to insert another SIM card and wait for your phone to read “Enter unlock code” or “Pin Network Unlock Code”.